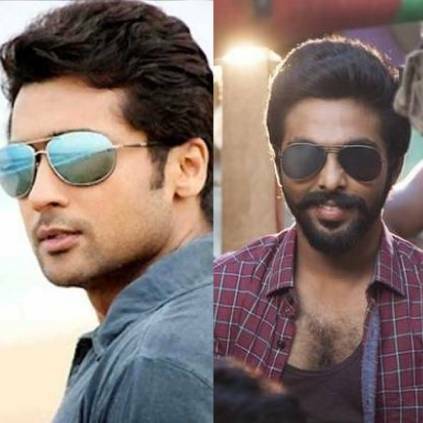 Actor Suriya has collaborated with actor-music composer GV Prakash Kumar for his upcoming film, tentatively titled as Suriya 38. The film is directed by Sudha Kongara and scripted by Sudha Kongara and Shalini Usha Nair. The music composer has collaborated with popular Malayalam alternative rock band 'Thaikkudam Bridge', known for their medleys and songs. It is also noted that 96 and Uriyadi-2 fame music composer Govind Vasantha is the band's lead violinist. GV Prakash Kumar posted a selfie on social media in order to share this news. GV Prakash Kumar had recently acted and composed in the Baba Baskar directed Kuppathu Raja and will be seen playing the lead in the A.L Vijay directed Watchman. Suriya 38 also marks the Oscar-winning producer Guneet Monga's foray into Tamil cinema, as the film is jointly produced by her Shikya Entertainment, in association with Suriya's production company, 2D Entertainment. People looking for online information on GV Prakash Kumar, Sudha Kongara, Suriya will find this news story useful.